(PLAINFIELD, IN 8/6/18) The Islamic Society of North America (ISNA) will be holding its 55th Annual Convention over Labor Day weekend, August 31 - September 3, 2018, at the George R. Brown Convention Center in Houston, TX (1001 Avenida De Las Americas, Houston, TX 77010). We decided to bring the Convention to Houston, TX for the first time because of the city’s diversity and vibrant culture. With thousands of attendees, the ISNA Convention is the largest Muslim gathering in the United States and Canada, where Muslims and guests from other faith communities have a platform to network, exchange ideas and listen to renowned speakers. This year’s theme, “In God We Trust,” will largely center on how faith can inspire the community to bring positive change in response to challenges and injustices of all forms. The three-day convention will unite both Muslim and interfaith individuals, families, businesses and non-profit organizations for a full schedule of lectures, discussions, debates and entertainment. ISNA has invited a rich list of speakers, scholars, community leaders and public servants such as Linda Sarsour, co-chair of the National Women’s March, and Shaun King to address Convention attendees. Journalist Mehdi Hasan will be the keynote speaker during the Community Service Recognition Luncheon (CSRL) which will honor a community leader for his lifelong dedication to serving the community. The Convention program looks at various topics such as the Me Too Movement, mental health, and climate change. 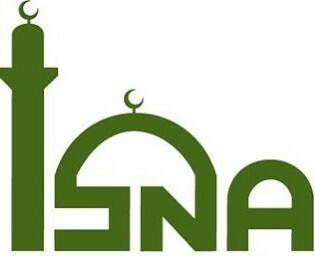 Complementing the main ISNA offering of programs, there are conferences being hosted by the Muslim Students Association of the U.S. & Canada (MSA National) and the Muslim Youth of North America (MYNA). Additionally, the convention will also feature a bazaar with hundreds of vendors, art exhibition, film festival, basketball tournament, interfaith events, chef challenge, and more.